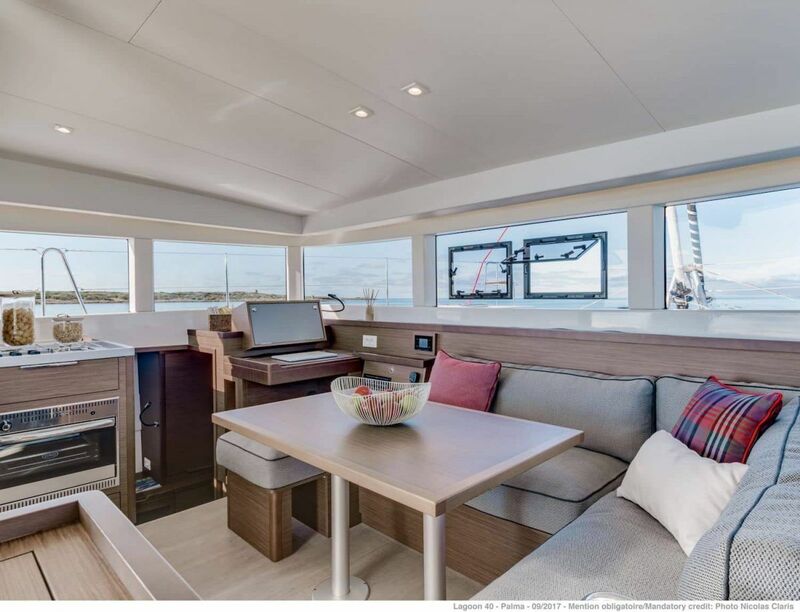 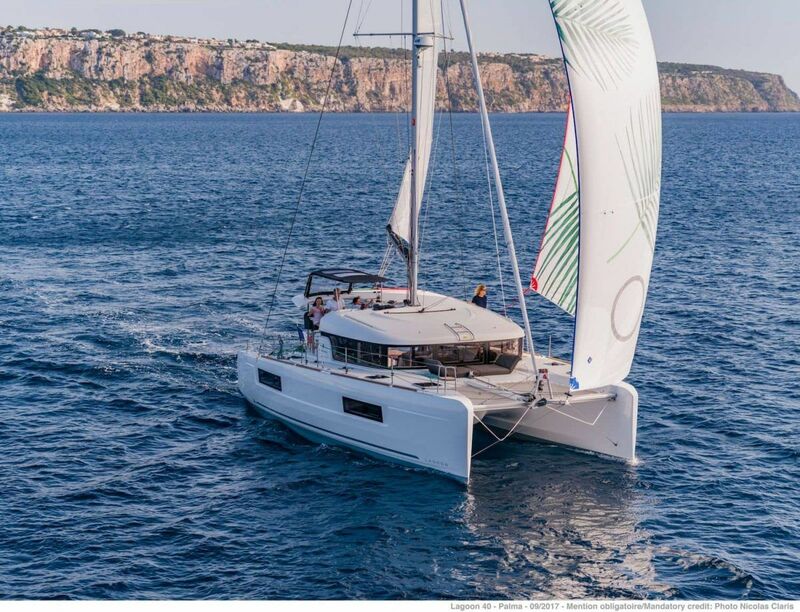 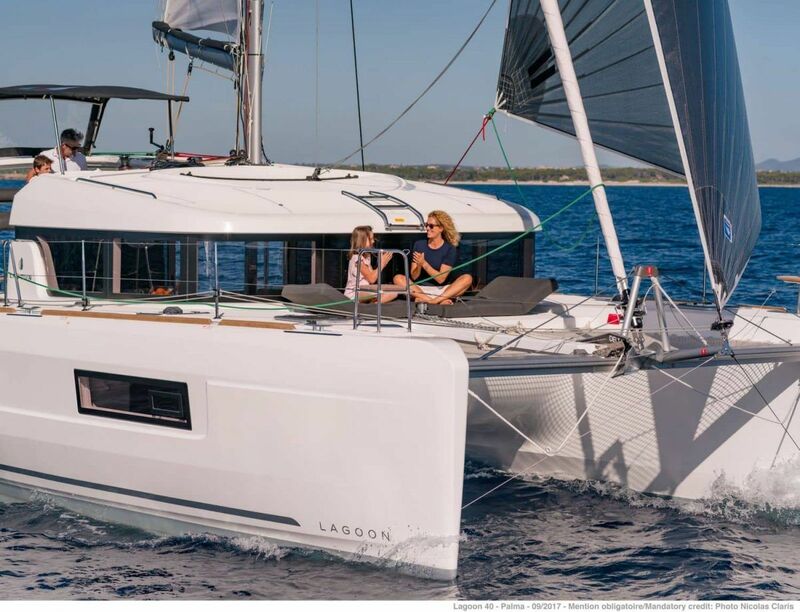 New LAGOON 40 represents the symbiosis of Lagoon’s two generations of Lagoon 39 and Lagoon 400: receding rig for higher performance, a self steering jib, a larger space and warm comfort give us the new 40-foot vision of Lagoon. 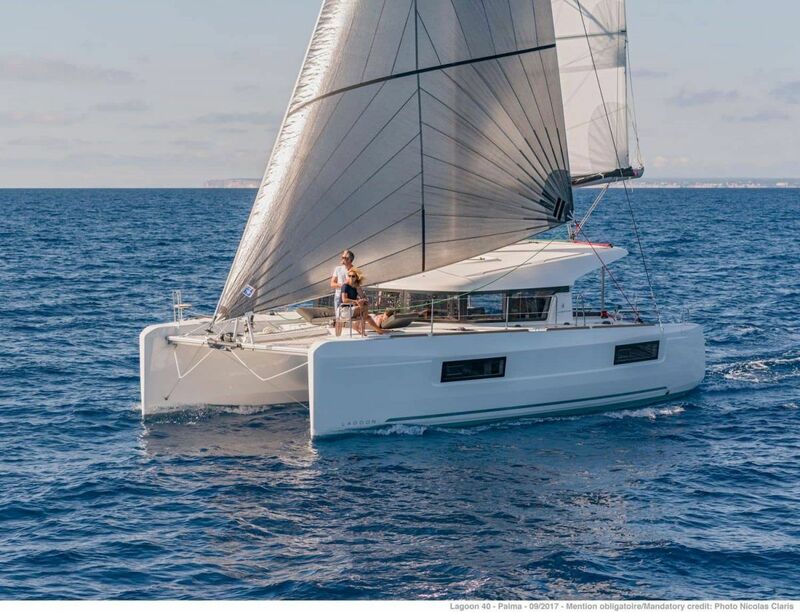 The cockpit is reminiscent of the 42 and its design was entirely conceived by Nauta. 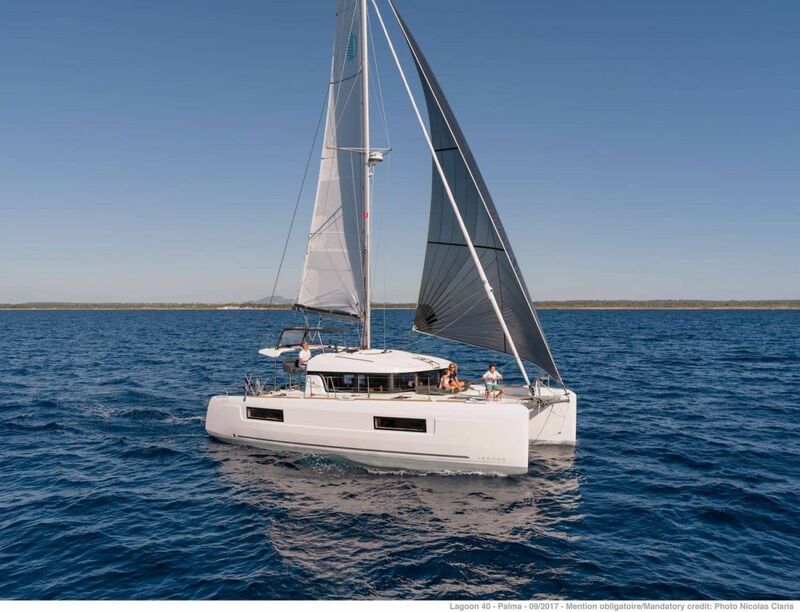 Available from 2018. 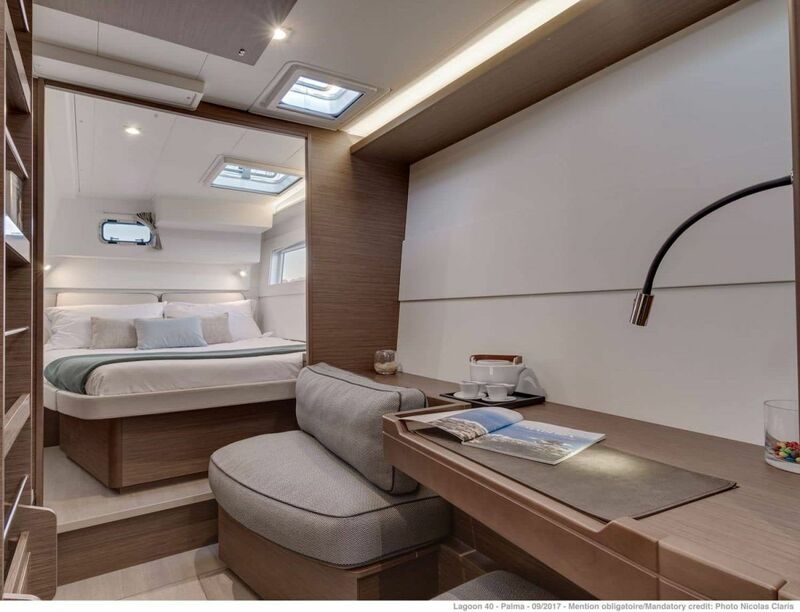 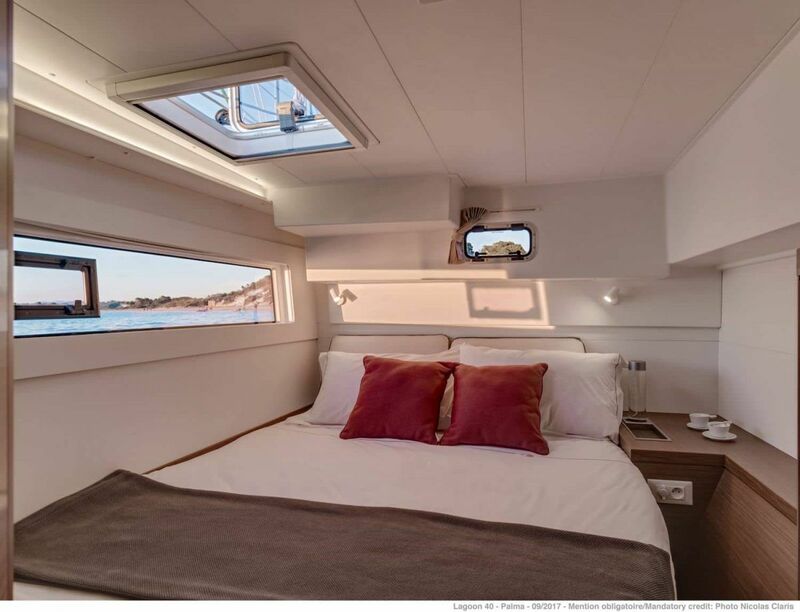 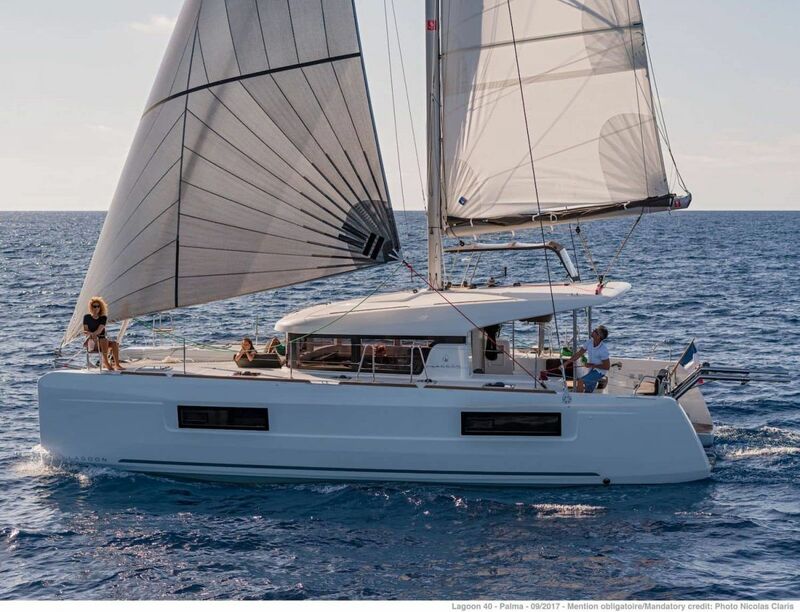 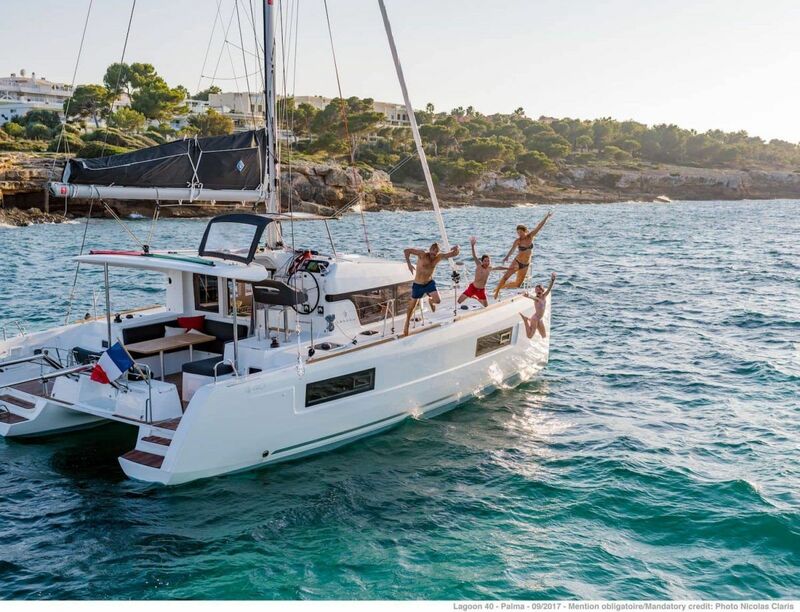 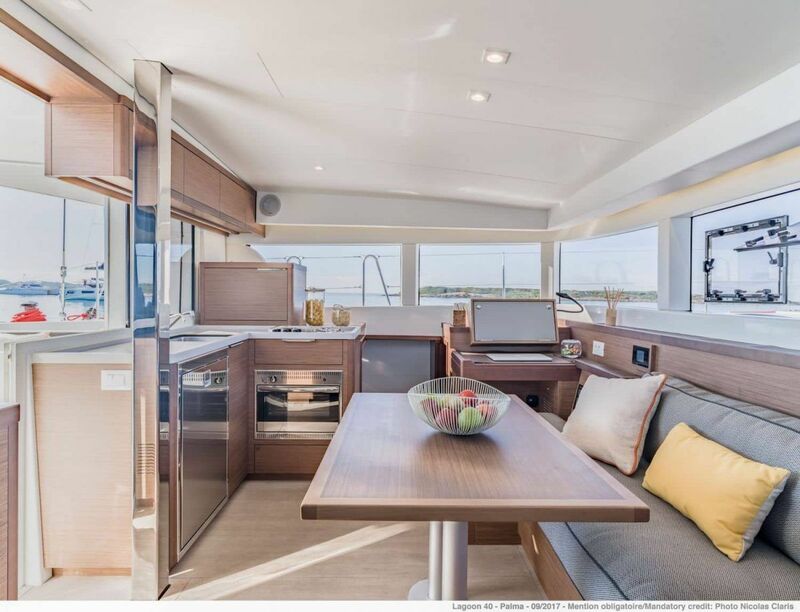 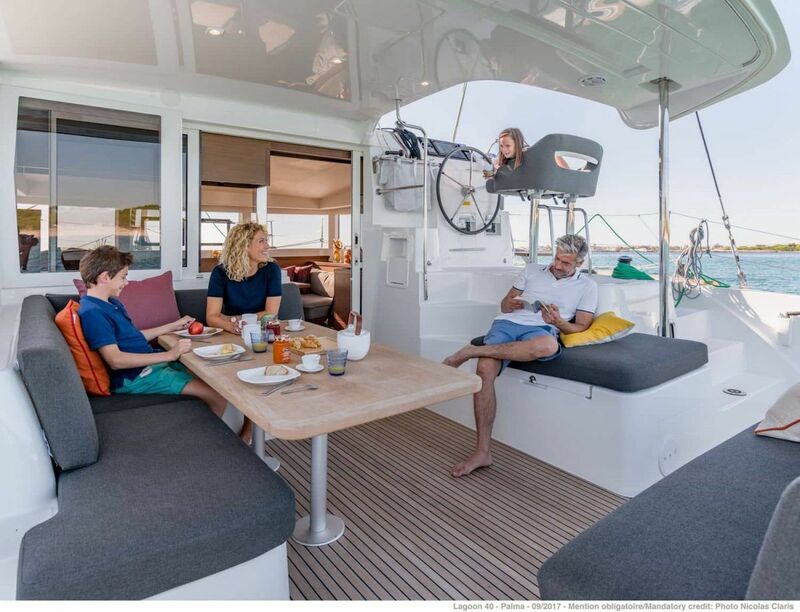 With this luxury and comfort that the Lagoon 40 for hire in Greece catamaran offers you on your holiday in Greece you can also add the extras like Air condition and generator that is a standard equipment on all our Lagoon 42 catamarans for charter in Greece. 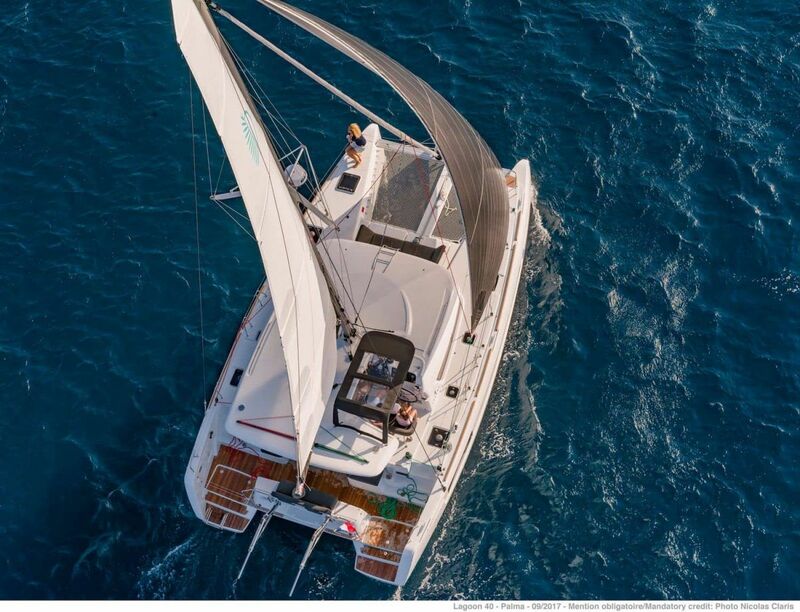 Visit all the islands that you heard abut like Mykonos, Pars, Satorini, Mios, adn much more. 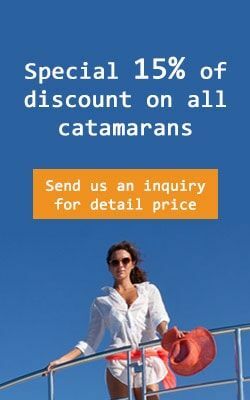 Gas stove & oven , Electric fridge , Icebox , Deep freezer , Cuttlery – Kitchen equipment , Pans, plates, glasses, spoons, knifes, etc.